Aaaahhh so I got very excited when I became a to a proud owner of THE VICE PALETTE by Urban Decay. Now, if you've read all of my recent posts, you'll see that I've been trying out quite a lot of Urban Decay stuff recently, unfortunately for me, I haven't actually used Urban Decay for years. In fact, the only product I've ever had from UD was an individual eye shadow which I was bought for Christmas, but, I was really young so I didn't really appreciate how to use it/how good it was. I hear bloggers raving about the naked palette all the time but it's never really appealed to me as I am appalling at applying eye shadow and usually end up paying to get it done in Harvey Nichols. So, once I got this, I vowed to learn how to do eye make up properly. It took me a while, as there seems to be a lack of basic tutorials on YouTube, as I just wanted to learn the basics of eye shadow application. What I did learn though was very simple but it works. Most of the videos that I watched said that there are two main steps to eye shadow application, and two main colours to apply. For the first part you're meant to close your eyes as you apply a lighter colour as the base to the whole lid but then for the second part you are meant to open your eye and pull from the corner as you put a darker colour in the crease, this should then be blended. Lucky for us, if you buy this palette, you get the perfect brush to use for blending and applying eye liner, it's just like magic. 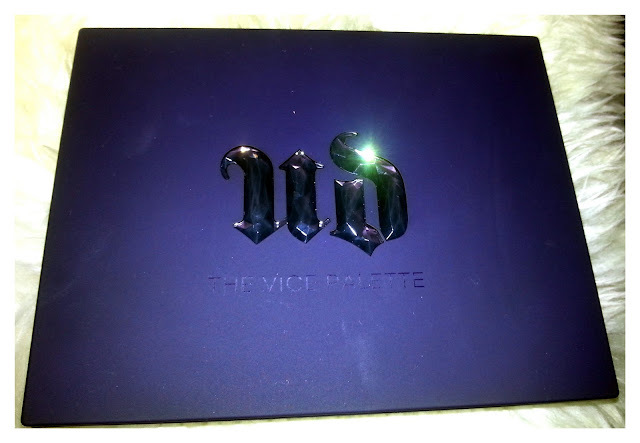 Excuse my rubbish photography, but I do really love the case, the UD logo is almost crystallised it's like a make up artists dream, a durable hard case but it is still very slimline and glamorous. 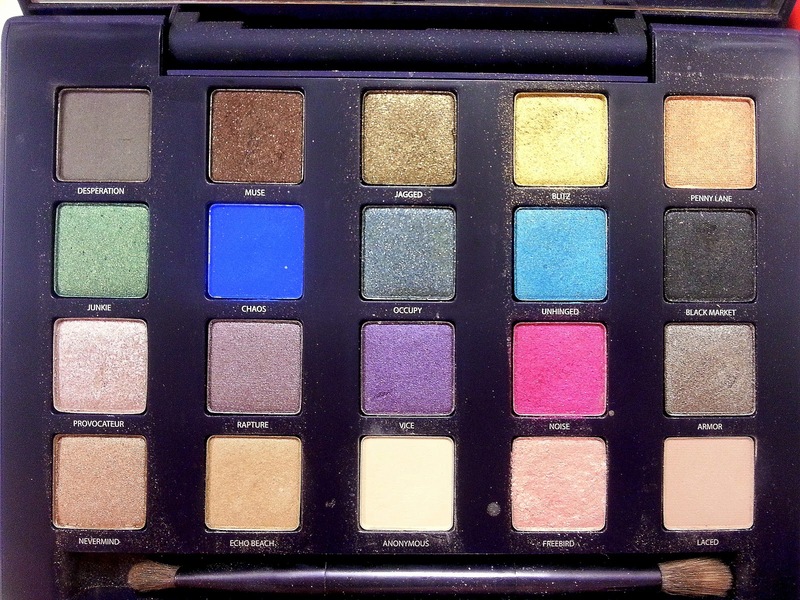 It's like the iPhone of eye shadow palettes. So here it is, you get 20 colours and they're all quite different so you really can experiment with your colours. I have been using 'anonymous' as a base coat and 'muse' as the darker colour. I can't wait to get better at eye shadow so that I dare to use some of the more bold colours. This is like the perfect Christmas party palette as far as I'm concerned but it does still have the neutral colours that the famous naked palette has. This costs around £44 which sounds quite steep but when you divide this by how many colours there are, it only works out at £2.20 per colour. Also, when you compare it to the likes of Clarins, they charge £40 for four colours in some of their palettes, this is extremely good value, especially for the quality but my fave thing about it has to be the brush, it's just incredible. How do you feel about Urban Decay as a brand? What are your must have Urban Decay products? Do you have any advice when applying eye shadow? i think u will appreciate naked2 more than any other, i think the colors match u and your style more. Ahaha I love them both for different reasons! Great post! I've never used UD before, but I'm definitely tempted to check them out after reading this :). I love these colors! They are gorgeous! That is awesome! UD have a lot of really fantastic products. Love these colours! I just got mine too and i love it! Looks like a great palette, the colours are gorgeous! 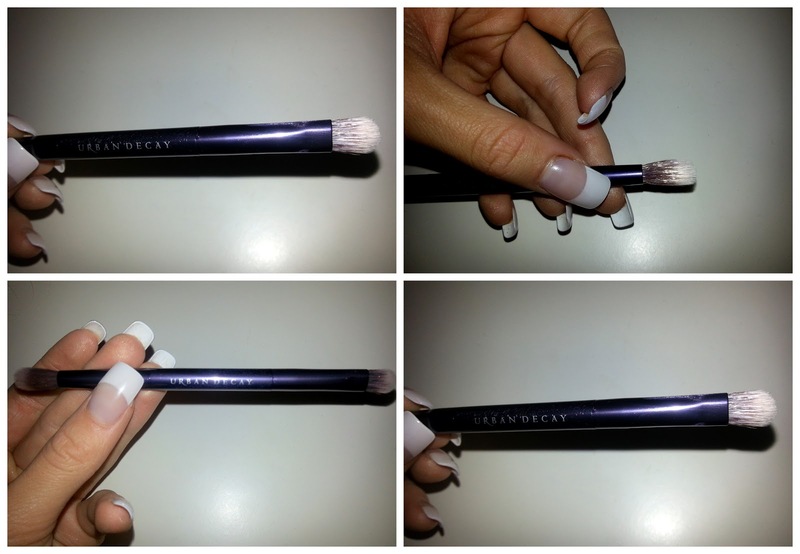 Great post need to give this ago I love the naked pallette use it everyday and that comes with the same brush its great brush I was suprised at how good it was too. I NEEEEED this is my life, so awesome! Love your blog, given you a follow. Would love it if you came and checked mine out, having a MAC MAKEUP giveaway at the moment! OMG! Chaos looks absolutely amazing! What a fab range of shades! I LOVE your blog by the way. It's so unique and full of character (I know that sounds strange). I think this palette needs to be mine! I'm on a no-buy right now, but once it ends - I'm buying this! New subscriber! LOVE your blog! This is fabulous Em! 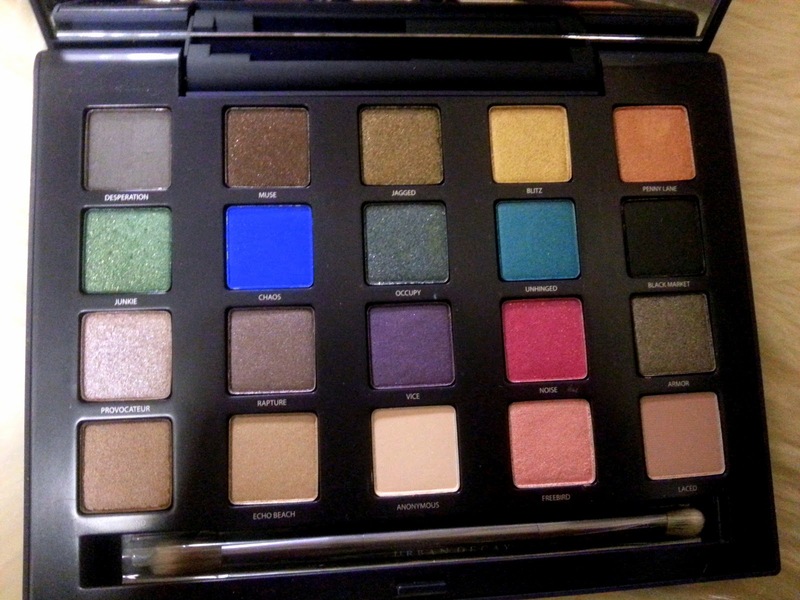 i'm not big on eye shadow but this palette is everything. It would be nice to have for special occasions. I've heard good things about UD so I'll take your word on it. Thanks so much for this review. How about we follow each other, I find your blog fascinating.